Hokkien Mee. This stall was formerly at Paramount Garden. 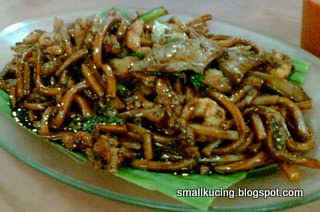 Fried a very delicious Hokkien Mee with lotsa "liu". Prawns, pork liver, cabbages and lotsa pork lards. Less oily than the one at Jalan Hang Tuah. 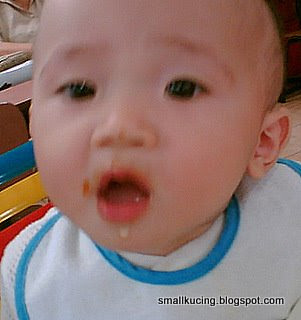 However, the "wok hei" is less also. Could be due to we were the 1st customers for the day. Definately will come back and eat.